Launched June 26th! Available online, globally . Order your copy now from any online bookstore and get all these bonuses for free! Click to your favourite retailer above and buy the paperback, Kindle or audiobook. Click this button to claim your bonus pack for free. Kavit is right on the money with this book. If you follow his instructions, you will find a proven process to turn your passion and expertise into a profitable, scalable and enjoyable online business. This is a must read! This is a simple and direct way to further your growth as a business, if you want to gain further positioning as an expert in your field, this is the book to read! Kavit truly cares and you can really feel that come through in the book. A must read for all. If you want to create an income by sharing your expertise in a way that reaches many people at once, this book will show you how. Kavit’s clear thinking provides a distraction-free framework for you to leverage what you know and build a profitable business. 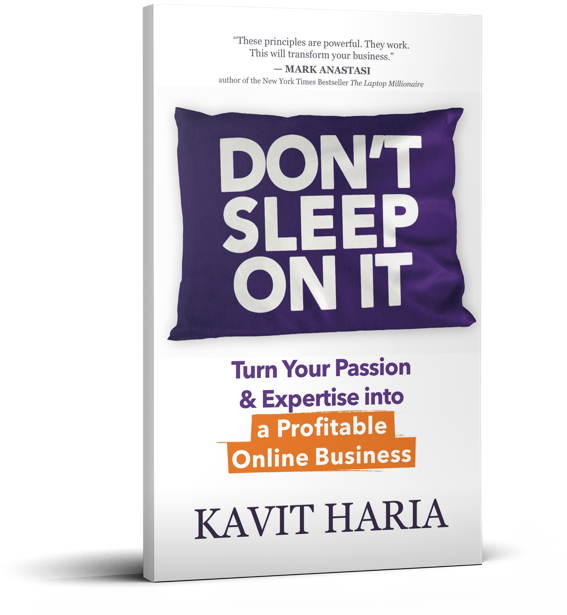 With this book, Kavit shows you exactly how to profit from your expertise online. Kavit really understands that so much of what makes a great business is about the attitude towards your customers, your product creation and your marketing. This is a must read if you’re thinking of launching your services online. I’ve watched Kavit grow as a person and as an entrepreneur for a decade online. And while much has changed on the internet and marketing products and services online, one thing has remained constant, Kavit’s care for his customers and helping them to achieve the business and life they desire. That will always win and why you must read every word in his new book so you can succeed in the next 10+ years of your own life. Kavit has the pulse of the industry and I highly recommend you devour every word in this book. Pre-order now, and send your online receipt to orders@dontsleeponit.com to receive your bulk buy bonuses! Members-only Access to a Community of changemakers in the "Dont Sleep On It!" Facebook private group. Having previously recorded albums at Abbey Road Studios and performed with the likes of Jimmy Page at the Royal Albert Hall, Kavit Haria used his music experiences to start sharing his own self-promotion techniques with other up and coming artists. As a result, Kavit founded his first company, Insider Music Business, where he created thirty-five different educational products online in the space of five years. This included anything from ebooks to video courses and audio training to membership programmes. 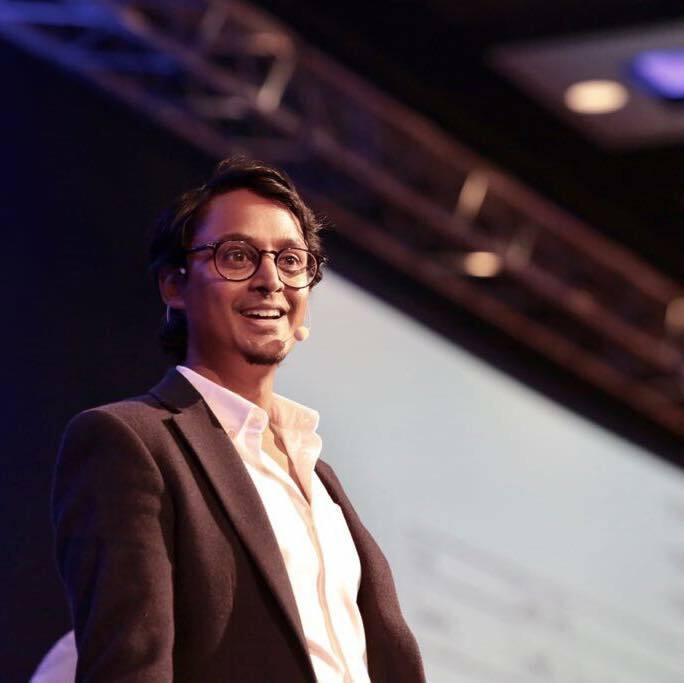 Following his success in the music business, Kavit began to branch out into other forms of consultancy, sharing his marketing automation strategies at business conferences in the UK, as well as running private workshops for small business owners in New York, Sydney and London. 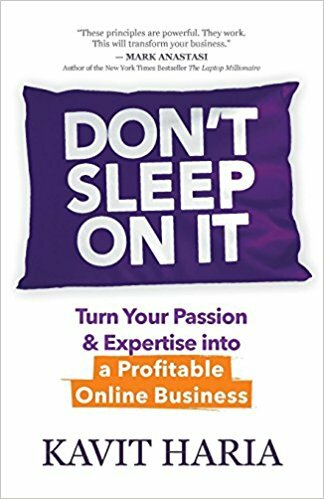 ‘Don’t Sleep on It!’ encompasses his journey from a musician to a recognised businessman, created to help inspire and drive you towards the same level of success (and beyond). Book a Free Business Strategy Session. If you're ready to unleash your work, your knowledge and your passion with the world, we can help. The first step is a no-obligation 30-min Strategy Session with our Business Coach to discuss how we can help you optimise, scale and grow an online business. We can help you leverage your expertise into a profitable, scalable, online and automated business system. Click the button below to schedule your session at a date/time that suits you.